What would be the one word I would use to describe the hellpit of death-moshing, choking fumes, and sweaty makeouts that just seems so essential to a Crystal Castles concert? Glorious. Absolutely glorious. Having been lucky enough to score two tickets for my lovely friend and myself, we headed out to Fox Theater on October 22, 2012 that bordered on downright chaotic. 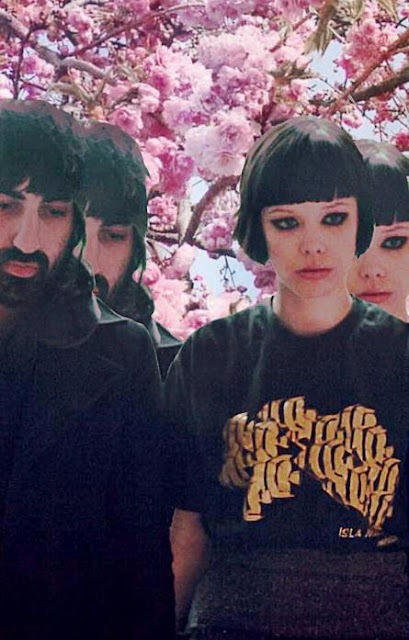 For a long time, I have harbored a love for the ethereal melodies that two-person Crystal Castles seems to dish out so effortlessly and couldn’t pass up the opportunity to see if Alice Glass’ voice and Ethan Kath’s production were really as phenomenal live as it was recorded. (I managed to survive an eye-poking and more jabs to my chest than I would care for). As soon as Alice flung herself into the crowd, her fans went crazy at the mere prospect of being able to touch their idol. “Empathy”, “Suffocation”, and “Celestica” washed over the crowd like an infusion of euphoria. I was ecstatic as soon as “Not in Love” came on – by that point, I had devolved into the same mindset of pure, reckless enjoyment that seemed to consume everyone else. The best part about going to a floor concert is that if you let yourself become just another speck in the crowd, you really feel like you’re part of something much larger. As the crowd ebbed and flowed to one dazzling song after another, Alice and Ethan took full advantage of the intensity of their music and transformed it into an incredible experience for me. Just spectacular.